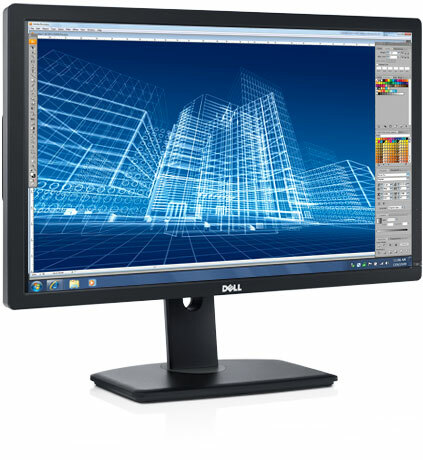 A year ago, I reviewed the Dell U3011, the first 2560×1600 factory-calibrated IPS monitor, and I fell in love with it. One year later, I finally bit the bullet and bought, not the 30-inch, but the 27-inch U2713H. The U2713H is rather new, and apart from a smaller screen size as compared to U3011, it comes with additional features like USB 3.0 4-port hub, fewer vertical resolution of 2560×1440, fewer connectors. The major difference with the U2713HM is its high colour gamut and depth which only professional users would appreciate. As for me, I chose the premium monitor because I had a good price deal, and that I was lazy (and do not have the hardware) to calibrate the monitor. When placed next to my current Philips 24-inch 1920×1200 monitor, the U2713H is not much bigger, so I actually get smaller pixels per inch (ppi) and smaller font size. The U3011, on the other hand, is really huge and so the ppi is larger. To maximise the benefit of such a high-resolution screen, you should cascade your windows side by side instead of doing a full-screen, because not many apps or browser pages are optimised for high-resolution. Not many of my peers and office colleagues appreciate multi-screens. Am I ahead of time, or am I merely a geek? After I bought this new monitor, I moved my old 22-inch monitor to office, and now I also have 2 large monitors at work. Having multiple monitors is like having a large desk. You get more space to place your contents around. More importantly, I can play a video for my daughter to watch on one screen while I continue to work on the other screen. In the office, I find it easier to open multiple windows side by side for ease of reference instead of having to toggle different windows. At this day and age where people likes large-screen smartphones, isn’t it time to rethink how we work on our computers too, especially when monitors are so so cheap. And instead of throwing away your old 14-inch monitors, you should plug 2 old monitors together and increase your overall screen space instead of replacing with a single large screen. Pingback: 2013 in Summary – Music.Photo.Life.